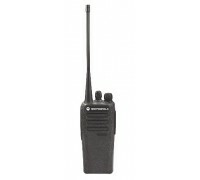 Portable two way radio analog and Mototrbo modes two year warranty or parts and labor. CP200d radio connects your workforce efficiently and has the flexibility to grow with your business. 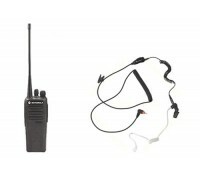 By combining the best of two-way radio functionality with the latest analog and digital technology, the radio is perfect for the everyday user who wants to stay connected. 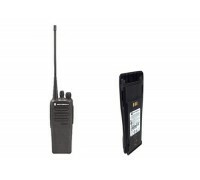 It is fully compatible with the MOTOTRBO family of radios and has superior audio quality, outstanding coverage, long-lasting battery life and more. You can also choose the analog-only model, which gives you great voice communications today with the option to migrate to digital when you are ready. Whatever your needs, the radio provides a simple, reliable, cost-effective communication solution to help work crews connect, coordinate and collaborate to get the job done right. Simple and affordable, the portable two-way radio connects your workforce efficiently—and has the flexibility to grow with your business. 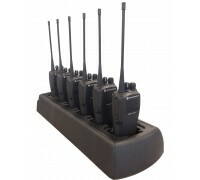 By combining the best of two-way radio functionality with the latest analog and digital technology, the CP Series is perfect for the everyday user who wants to stay connected. Fully compatible with the MOTOTRBO family of radios, the CP Series has superior audio quality, outstanding coverage, long-lasting battery life and more. You can also choose the analog-only CP Series model, which gives you great voice communications today, with a path to crisp and clear digital voice communications when you're ready. All you will need is a simple software upgrade. Whatever your needs, the CP Series provides a simple, reliable, cost-effective communication solution to help work crews connect, coordinate and collaborate to get the job done right. Improve the efficiency of your operation with easy-to-use voice communication that's right for you. Transmit Interrupt Capability (decode only): Enables a supervisor to interrupt a user to deliver critical communication exactly when and where it's needed. radios are already best in class, but to help you work at your best, you need enhancements targeted to your specific workplace. 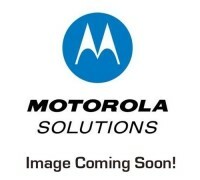 Motorola has developed a line of accessories with unique features designed to optimize the performance of your radio in your work environment, unleashing the full power of the industry’s most advanced digital radio platform. As you walk from the production line, across hotel grounds, or to the store stockroom, you can work more easily and efficiently wearing a comfortable, convenient accessory. Combine best-in-class radios with accessories to achieve even greater productivity and cost-savings. Together, you’ll rethink what’s an accessory – and what’s a necessity. That’s why it’s important to use tested and certified accessories with your radios. 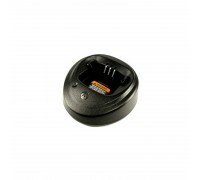 They’re the only ones designed, built and tested with your radio to optimize its performance.